Meet Sherlock Holmes … at school! Solving mysteries and fighting crime – all before home time. John Watson has only been at Baker Street Academy five minutes when he meets brainiac oddball Sherlock Holmes. He’s not yet got his world-famous funny hat, but he does have a razor-sharp mind. (And some rather scary enemies.) With Sherlock around, things often go a bit crazy, as John’s cartoon-filled diary shows. 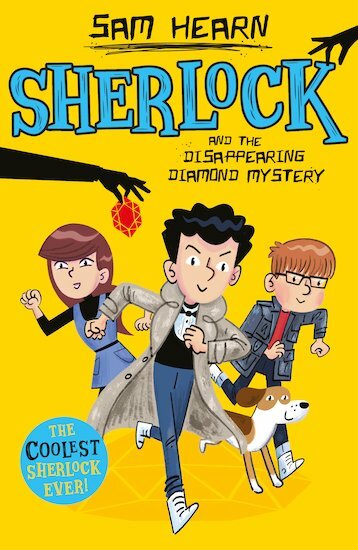 A school trip, a missing jewel, a daring heist… It’s hard to be Sherlock’s best mate and get your homework in on time!